The term "toughened glass" is generally used to describe fully tempered glass but is sometimes used to describe heat-strengthened glass as both types undergo a thermal "toughening" process. Progressing from the furnace, the glass moves into the quench where it is rapidly cooled by blasting both sides with air. This ‘snap cooling’ or quenching induces compressive stresses to the glass surface while the centre remains in tension. Although the physical characteristics remain unchanged,the additional stresses created within the glass increases its strength by 4 – 5 times that of annealed glass of equal thickness. Semi-Toughened Glass, also known as Heat Strengthened Glass,its manufacturing process is similar to the Toughened Glass made by quickly cooling the annealed float glass when it is heated near to its softening point. 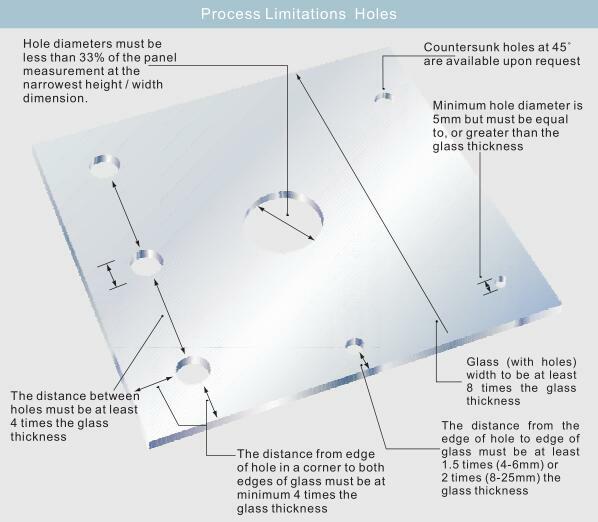 During the cooling procedure, both the pressure of the cooling air and cooling speed are lower and slower than the Toughened Glass, therefore the temperature difference between its interlayer and the surface will be relatively narrower, causing the density difference between them smaller,hence the tensile stress formed inside the glass plate also will be smaller. Toughened glass is used when strength, thermal resistance, and safety are important considerations. 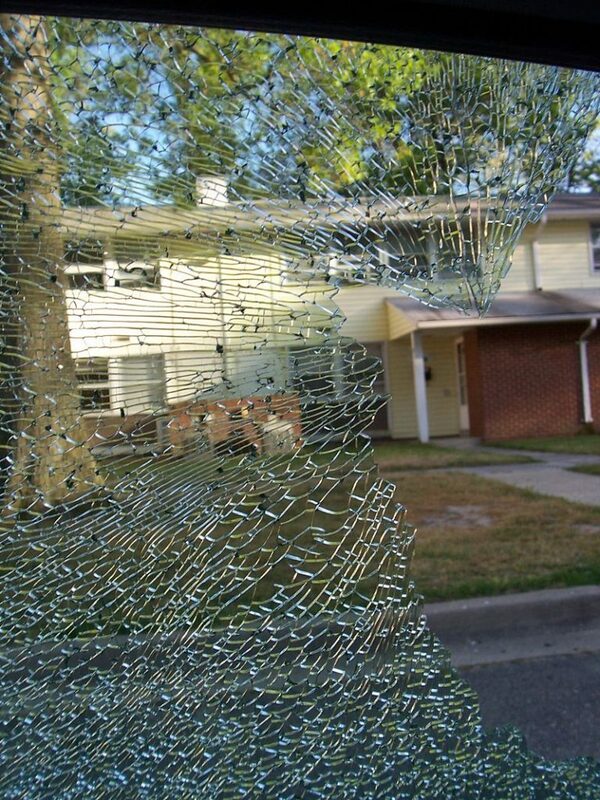 The most commonly encountered tempered glass is that used for side and rear windows in automobiles.A shattered driver’s side window reveals small fragments that still cling together. Toughened glass is also used in buildings for unframed assemblies (such as frameless glass doors), structurally loaded applications, and any other application that would become dangerous in the event of human impact. 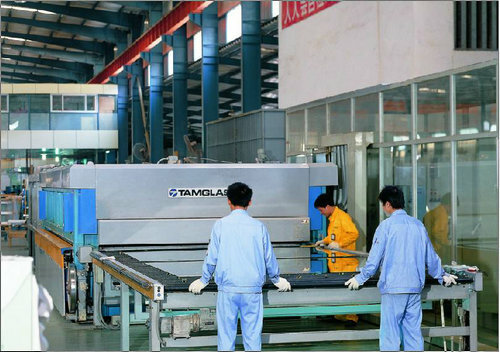 Tempered and heat strengthened glass can be three to seven times stronger than annealed glass. near doorways and stairways, large windows, windows which extend close to floor level, sliding doors, elevators, fire department access panels, and near swimming pools. “Rim-tempered” indicates that a limited area, such as the rim of the glass or plate, is tempered and is popular in food service. However, there are also specialist manufacturers that offer a fully tempered/toughened drinkware solution that can bring increased benefits in the form of strength and thermal shock resistance. In some countries these products are specified in venues that require increased performance levels or have a requirement for a safer glass due to intense usage. Tempered glass has also seen increased usage in bars and pubs, particularly in the United Kingdom and Australia, to prevent broken glass being used as a weapon. 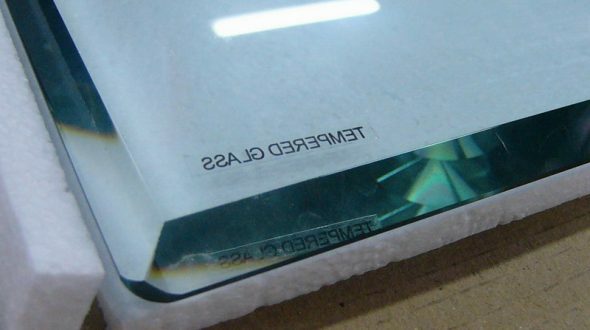 Some forms of tempered glass are used for cooking and baking. Manufacturers and brands include Glasslock, Pyrex, Corelle, and Arc International. Most touchscreen mobile devices use some form of toughened glass (such as Corning’s Gorilla Glass[better source needed]), as do some aftermarket screen protectors for these devices. 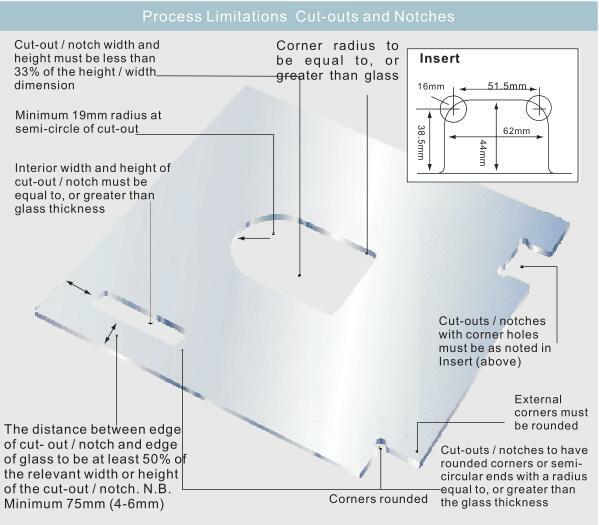 Toughened glass must be cut to size or pressed to shape before toughening, and cannot be re-worked once toughened. Polishing the edges or drilling holes in the glass is carried out before the toughening process starts. Because of the balanced stresses in the glass, damage to any portion will eventually result in the glass shattering into thumbnail-sized pieces. The glass is most susceptible to breakage due to damage to the edge of the glass, where the tensile stress is the greatest, but shattering can also occur in the event of a hard impact in the middle of the glass pane or if the impact is concentrated (for example, striking the glass with a hardened point). Using toughened glass can pose a security risk in some situations because of the tendency of the glass to shatter completely upon hard impact rather than leaving shards in the window frame. The surface of tempered glass does exhibit surface waves caused by contact with flattening rollers, if it has been formed using this process. This waviness is a significant problem in manufacturing of thin film solar cells.The float glass process can be used to provide low-distortion sheets with very flat and parallel surfaces.